Nonprofits, charities, and other tax-exempt organizations are generally required to file Form 990 or Form 990-EZ along with Schedule A with the Internal Revenue Service each year to maintain their tax-exempt status. Form 990 is an "information return" and is required to be filed under the provisions of Internal Revenue Code Section 6033. Are You Required to File Form 990? Nonprofits that are exempt from tax under the provisions of the Internal Revenue Code Section 501(a) must typically file either Form 990 or the shorter Form 990-EZ each year. Nonprofits are not required to File Form 990 or 990-EZ if its gross receipts are normally $25,000 or less. For more information on this $25,000 gross receipts test, see How to Determine If an Organization's Gross Receipts are Normally $25,000 (or $5,000) or Less in the Instructions for Form 990. Certain organizations are not required to file Form 990. This includes religious organizations. See Organizations Not Required To File Form 990 or 990-EZ in the Instructions for Form 990. The nonprofit can file the shorter Form 990-EZ if the organization has less than $100,000 in gross receipts and less than $250,000 in total assets at the end of the year. Gross receipts include all income from all sources during the tax year without subtracting any expenses. Nonprofits are required to attach Schedule A to their Form 990 or 990-EZ return. If the organization is not required to file Form 990 or 990-EZ, then it is not required to file Schedule A. Schedule A is used to report information that is not open for public disclosure. This includes information about the compensation of officers, employees, and independent contractors. Nonprofits that engage in for-profit business enterprises may be subject to corporate income taxes on its unrelated business income. To be considered unrelated business income, the income must be generated by a business that is "regularly" carried on and that is "unrelated" to the exempt function of the nonprofit. Unrelated business income is defined and explained in the Definitions section of the Instructions for Form 990-T.
Nonprofits must file Form 990-T if it has $1,000 or more in gross income from an unrelated business. Nonprofits that are not required to file Form 990 (such as religious organizations) are required to file Form 990-T if they have unrelated business income. Nonprofits are required to make certain tax documents available for public inspection. The three most recent information returns (Form 990 or 990-EZ) and its application for exempt status (Form 1023) must be made available for inspection upon request. Form 990-T reporting unrelated business income is open for public inspection only for nonprofits that organized under Code Section 501(c)(3). Schedule A is not open to public inspection and does not need to be disclosed by the organization. Organizations can meet their public disclosure obligations by posting copies of their information returns on the Internet. For more information, see Frequently Asked Questions About the Exempt Organization Public Disclosure Requirements on the IRS website. Form 990, 990-EZ, Schedule A, and 990-T must be filed by the 15th day of the fifth month following the end of the organization's tax year. The tax year for most nonprofits ends on December 31, so the normal filing deadline is May 15. If the deadline falls on a Saturday, Sunday, or legal holiday, the returns are due on the next business day. Nonprofits can request an automatic three-month extension to file all information returns by submitting Form 8868, Application for Extension of Time to File an Exempt Organization Return (PDF, 4 pages). 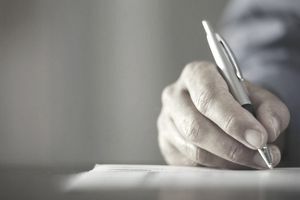 The organization can request an additional three-month extension (not automatically granted) by filing another Form 8868 and filling out the information in Part II. To request an additional extension, the nonprofit must first request an automatic extension. Provides a database of nonprofit organizations, including publicly disclosed copies of Form 990. A collection of federal resources and information for nonprofit organizations. USA.gov is the official web portal of the U.S. government.